Burnley midfielder Dave Jones has agreed a new two-year contract, as teenage AFC Wimbledon striker Dan Agyei joins for an undisclosed fee. 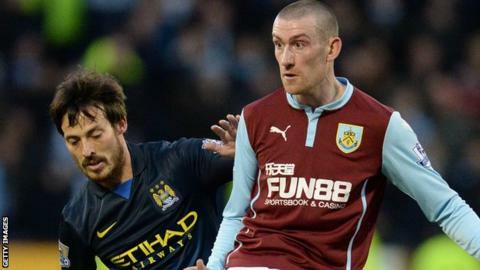 Jones, 30, joined the Clarets after his release from Wigan in 2013 and the former Manchester United trainee featured in 38 games last season. He has won promotion from the Championship three times in his career. Agyei, 18, scored 35 times for the Dons youth teams last season and has signed a long-term contract.